Farmland Preservation allows the state to purchase agricultural conservation easements in order to ensure that lands currently in agricultural use will continue to remain available for agriculture and will not be converted to other uses. The Kentucky General Assembly in 1994 established the Purchase of Agricultural Conservation Easement Corporation and authorized the state to purchase agricultural conservation easements in order to ensure that lands currently in agricultural use will continue to remain available for agriculture and not be converted to other uses. Although PACE was established to purchase conservation easements, landowners also are encouraged to donate easements in order to dedicate their land to agricultural uses. Donors of conservation easements may receive federal and state income tax and estate tax benefits. The PACE Corporation has purchased agricultural conservation easements on 108 farms totaling 25,280.79 acres. The easement costs have averaged $854 per acre. The farm size has averaged 234 acres. In addition, 61 easements on 8,499.75 acres have been donated to the program, bringing the total inventory to 170 farms containing 33,780.55 acres. Since the inception of the program, the Department has received 816 applications from 75 counties statewide totaling over 160,000 acres. A total of 667 applications are currently pending for a total of over 129,000 acres with an estimated easement value of over $100 million. Berry was the first of four children born to John Marshall Berry, a lawyer and tobacco farmer in Henry County, Kentucky, and Virginia Erdman Berry. The families of both parents had farmed in Henry County for at least five generations. Berry attended secondary school at Millersburg Military Institute and then earned a B.A. (1956) and M.A. (1957) in English at the University of Kentucky. In 1956, at the University of Kentucky he met another Kentucky writer-to-be, Gurney Norman. He completed his M.A. and married Tanya Amyx in 1957. In 1958, he attended Stanford University's creative writing program as a Wallace Stegner Fellow, studying under Stegner in a seminar that included Edward Abbey, Larry McMurtry, Robert Stone, Ernest Gaines, Tillie Olsen, and Ken Kesey. Berry's first novel, Nathan Coulter, was published in April 1960. A John Simon Guggenheim Memorial Foundation Fellowship took Berry and his family to Italy and France in 1961, where he came to know Wallace Fowlie, critic and translator of French literature. From 1962 to 1964, he taught English at New York University's University Heights campus in the Bronx. In 1964, he began teaching creative writing at the University of Kentucky, from which he resigned in 1977. During this time in Lexington, he came to know author Guy Davenport, as well as author and monk Thomas Merton and photographer Ralph Eugene Meatyard. On July 4, 1965, Berry, his wife, and his two children moved to a farm that he had purchased, Lane's Landing, and began growing corn and small grains on what eventually became a homestead of about 117 acres (0.47 km2). They bought their first flock of seven Border Cheviot sheep in 1978. Lane's Landing is in Henry County, Kentucky in north central Kentucky near Port Royal, and his parents' birthplaces, and is on the western bank of the Kentucky River, not far from where it flows into the Ohio River. Berry has farmed, resided, and written at Lane's Landing ever since. He has written about his early experiences on the land and about his decision to return to it in essays such as "The Long-Legged House" and "A Native Hill." In the 1970s and the early 1980s, he edited and wrote for the Rodale Press, including its publications Organic Gardening and Farming and The New Farm. From 1987 to 1993, he returned to the English Department of the University of Kentucky. Berry has written at least twenty-five books (or chapbooks) of poems, sixteen volumes of essays, and eleven novels and short story collections. His writing is grounded in the notion that one's work ought to be rooted in and responsive to one's place. Berry, who describes himself as "a person who takes the Gospel seriously," has criticized Christian organizations for failing to challenge cultural complacency about environmental degradation, and has shown a willingness to criticize what he perceives as the arrogance of some Christians. He is an advocate of Christian pacifism, as shown in his book Blessed Are the Peacemakers: Christ's Teachings About Love, Compassion and Forgiveness (2005). Berry is a fellow of Britain's Temenos Academy, a learned society devoted to the study of all faiths and spiritual pursuits; Berry publishes frequently in the annual Temenos Academy Review, funded by the Prince of Wales. On June 3, 1979, Berry engaged in nonviolent civil disobedience against the construction of a nuclear power plant at Marble Hill, Indiana. He describes "this nearly eventless event" and expands upon his reasons for it in the essay "The Reactor and the Garden." On February 9, 2003, Berry's essay titled "A Citizen's Response to the National Security Strategy of the United States" was published as a full-page advertisement in The New York Times. Berry opened the essay—a critique of the G. W. Bush administration's post-9/11 international strategy—by asserting that "The new National Security Strategy published by the White House in September 2002, if carried out, would amount to a radical revision of the political character of our nation." On January 4, 2009, Berry and Wes Jackson, president of The Land Institute, published an op-ed article in The New York Times titled "A 50-Year Farm Bill." In July 2009 Berry, Jackson and Fred Kirschenmann, of The Leopold Center for Sustainable Agriculture, gathered in Washington DC to promote this idea. Berry and Jackson wrote, "We need a 50-year farm bill that addresses forthrightly the problems of soil loss and degradation, toxic pollution, fossil-fuel dependency and the destruction of rural communities." Also in January 2009, Berry released a statement against the death penalty, which began, "As I am made deeply uncomfortable by the taking of a human life before birth, I am also made deeply uncomfortable by the taking of a human life after birth." And in November 2009, Berry and 38 other writers from Kentucky wrote to Gov. Steve Beshear and Attorney General Jack Conway asking them to impose a moratorium on the death penalty in that state. On March 2, 2009, Berry joined over 2,000 others in non-violently blocking the gates to a coal-fired power plant in Washington, D.C. No one was arrested. On May 22, 2009, Berry, at a listening session in Louisville, spoke against the National Animal Identification System (NAIS). He said, "If you impose this program on the small farmers, who are already overburdened, you're going to have to send the police for me. I'm 75 years old. I've about completed my responsibilities to my family. I'll lose very little in going to jail in opposition to your program – and I'll have to do it. Because I will be, in every way that I can conceive of, a non-cooperator." In October 2009, Berry combined with "the Berea-based Kentucky Environmental Foundation (KEF), along with several other non-profit organizations and rural electric co-op members" to petition against and protest the construction of a coal-burning power plant in Clark County, Kentucky. On February 28, 2011, the Kentucky Public Service Commission approved the cancellation of this power plant. On December 20, 2009, due to the University of Kentucky's close association with coal interests in the state, Berry removed his papers from the university. He explained to the Lexington Herald-Leader, "I don't think the University of Kentucky can be so ostentatiously friendly to the coal industry … and still be a friend to me and the interests for which I have stood for the last 45 years. … If they love the coal industry that much, I have to cancel my friendship." In August 2012, the papers were donated to The Kentucky Historical Society in Frankfort, KY.
On September 28, 2010, Berry participated in a rally in Louisville during an EPA hearing on how to manage coal ash. Berry said, "The EPA knows that coal ash is poison. We ask it only to believe in its own findings on this issue, and do its duty." Berry, with 14 other protesters, spent the weekend of February 12, 2011 locked in the Kentucky governor's office to demand an end to mountaintop removal coal mining. He was part of the environmental group Kentuckians for the Commonwealth that began their sit-in on Friday and left at midday Monday to join about 1,000 others in a mass outdoor rally. In 2011, The Berry Center was established at New Castle, Kentucky, "for the purpose of bringing focus, knowledge and cohesiveness to the work of changing our ruinous industrial agriculture system into a system and culture that uses nature as the standard, accepts no permanent damage to the ecosphere, and takes into consideration human health in local communities." Berry's nonfiction serves as an extended conversation about the life he values. According to him, the good life includes sustainable agriculture, appropriate technologies, healthy rural communities, connection to place, the pleasures of good food, husbandry, good work, local economics, the miracle of life, fidelity, frugality, reverence, and the interconnectedness of life. The threats Berry finds to this good simple life include: industrial farming and the industrialization of life, ignorance, hubris, greed, violence against others and against the natural world, the eroding topsoil in the United States, global economics, and environmental destruction. As a prominent defender of agrarian values, Berry's appreciation for traditional farming techniques, such as those of the Amish, grew in the 1970s, due in part to exchanges with Draft Horse Journal publisher Maurice Telleen. Berry has long been friendly to and supportive of Wes Jackson, believing that Jackson's agricultural research at The Land Institute lives out the promise of "solving for pattern" and using "nature as model." Author Rod Dreher writes that Berry's "unshakable devotion to the land, to localism, and to the dignity of traditional life makes him both a great American and, to the disgrace of our age, a prophet without honor in his native land." Similarly, Bill Kauffman argues that "Among the tragedies of contemporary politics is that Wendell Berry, as a man of place, has no place in a national political discussion that is framed by Gannett and Clear Channel." Historian Richard White calls Berry "the environmental writer who has most thoughtfully tried to come to terms with labor" and "one of the few environmental writers who takes work seriously." The concept of "Solving for pattern", coined by Berry in his essay of the same title, is the process of finding solutions that solve multiple problems, while minimizing the creation of new problems. The essay was originally published in the Rodale Press periodical The New Farm. Though Mr. Berry's use of the phrase was in direct reference to agriculture, it has since come to enjoy broader use throughout the design community. Berry's core ideas, and in particular his poem "Sabbaths III (Santa Clara Valley)," guided the 2007 documentary feature film The Unforeseen, produced by Terrence Malick and Robert Redford. The film's director Laura Dunn stated, "We are of course most grateful to Mr. Berry for sharing his inspired work – his poem served as a guide post for me throughout this, at times meandering, project." Berry appears in the film narrating his own poem. Dunn went on to make the 2016 documentary feature Look & See: A Portrait of Wendell Berry, again produced by Malick and Redford. Berry's lyric poetry often appears as a contemporary eclogue, pastoral, or elegy; but he also composes dramatic and historical narratives (such as "Bringer of Water" and "July, 1773", respectively) and occasional and discursive poems ("Against the War in Vietnam" and "Some Further Words", respectively). and continues through ten more stanzas (each propelled by the anaphora of "We know"). The elegiac here and elsewhere, according to Triggs, enables Berry to characterize the connections "that link past and future generations through their common working of the land." Lionel Basney placed Berry's poetry within a tradition of didactic poetry that stretches back to Horace: "To say that Berry's poetry can be didactic, then, means that it envisions a specific wisdom, and also the traditional sense of art and culture that gives art the task of teaching this wisdom"
For Berry, poetry exists "at the center of a complex reminding" Both the poet and the reader are reminded of the poem's crafted language, of the poem's formal literary antecedents, of "what is remembered or ought to be remembered," and of "the formal integrity of other works, creatures and structures of the world.". From 1979 to the present Berry has been writing what he calls “Sabbath poems.” They were first collected in A Timbered Choir: The Sabbath Poems 1979-1997. This was followed by Sabbaths from 1998 to 2004 in Given: New Poems; and those from 2005 to 2008 are in Leavings. All Sabbath poems through 2012 are published in This Day: New and Collected Sabbath Poems 1979 - 2012. Sabbaths 2013 has been published by Larkspur Press. A Small Porch (2016) contains nine Sabbath poems from 2014 and sixteen from 2015. The poems are motivated by Berry's longtime habit of walking out onto the land on Sunday mornings. As he puts it, "I go free from the tasks and intentions of my workdays, and so my mind becomes hospitable to unintended thoughts: to what I am very willing to call inspiration." As Thoreau continues in 'Life Without Principle,' he notes the constant busyness of Americans, so engaged in 'infinite bustle' that 'there is no sabbath.' And he notes later that 'there is nothing, not even crime, more opposed to poetry, to philosophy, ay, to life itself, than this incessant business.' The logic is clear: destruction of the Sabbath is contrary to 'life itself.' That, I suggest, is the context in which we should read the Sabbath poems that Berry has been writing for nearly the last thirty years. The effect of profound shifts in the agricultural practices of the United States, and the disappearance of traditional agrarian life, are some of the major concerns of the Port William fiction, though the theme is often only a background or subtext to the stories themselves. The Port William fiction attempts to portray, on a local scale, what "a human economy … conducted with reverence" looked like in the past—and what civic, domestic, and personal virtues might be evoked by such an economy were it pursued today. Social as well as seasonal changes mark the passage of time. The Port William stories allow Berry to explore the human dimensions of the decline of the family farm and farm community, under the influence of expanding post-World War II agribusiness. But these works rarely fall into simple didacticism, and are never merely tales of decline. Each is grounded in a realistic depiction of character and community. In A Place on Earth (1967), for example, farmer Mat Feltner comes to terms with the loss of his only son, Virgil. In the course of the novel, we see how not only Mat but the entire community wrestles with the acute costs of World War II. Berry's fiction also allows him to explore the literal and metaphorical implications of marriage as that which binds individuals, families, and communities to each other and to Nature itself—yet not all of Port William is happily or conventionally married. "Old Jack" Beechum struggles with significant incompatibilities with his wife, and with a brief yet fulfilling extramarital affair. The barber Jayber Crow lives with a forlorn, secret, and unrequited love for a woman, believing himself "mentally" married to her even though she knows nothing about it. Burley Coulter never formalizes his bond with Kate Helen Branch, the mother of his son. Yet, each of these men find themselves firmly bound up in the community, the "membership," of Port William. Of his fictional project, Berry has written: "I have made the imagined town of Port William, its neighborhood and membership, in an attempt to honor the actual place where I have lived. By means of the imagined place, over the last fifty years, I have learned to see my native landscape and neighborhood as a place unique in the world, a work of God, possessed of an inherent sanctity that mocks any human valuation that can be put upon it." Elsewhere, Berry has said, "The only thing I try to accomplish in fiction is to show how people act when they love each other." The novels and stories can be read in any order. In January, 2018, the Library of America published a volume of Berry's fiction—the first of a projected four volumes. Wendell Berry: Port William Novels & Stories (The Civil War to World War II) contains four novels and twenty-three short stories in chronological order according to the stories' events. Along with W. S. Merwin and Philip Roth, Berry is one of three currently living writers in the Library of America catalog. In Berry's first novel, young Nathan "comes of age" through dealing with the death of his mother, the depression of his father Jared, the rugged companionship of his brother Tom, and the mischief of his uncle Burley. Kirkus Review concludes, "A sensitive adolescent theme is handled rather poetically, but so uniform in tone that no drama is generated and no sense of time passing is felt." John Ditsky finds William Faulkner's influence in Nathan Coulter, but notes, "Not only does the work avoid the pitfalls encountered by Faulkner's initial attempts to escape his postage stamp of native soil, but Nathan Coulter also seems a wise attempt to get that autobiographical first novel out of one's system, and to do so [with] honesty." Young Andy Catlett's uncle Andrew had been murdered back in 1944, and now an adult Andy is reconstructing the event and its aftermath. "Looking back with a mixture of a young boy's incomprehension and an older man's nostalgia, Andy evokes the past not as a narrative but as a series of disembodied fragments in the flow of time." In this fifth novel of Port William, Berry considers the violence of men and its impact on the family and community that must come to terms with it. "Berry shows us the psychic costs of misplaced family pride and social rigidity, and yet he also celebrates the benevolent blessing of familial love. This is simple, soul-satisfying storytelling, augmented by understated humor and quiet insight." Port William's barber recounts his life's journey in Berry's sixth novel. Jayber's early life as an orphan near Port William is followed by studies towards a possible vocation to Church ministry. A questioning mind, however, sends him in other directions until he finds himself back in Port William with an ever-growing commitment to that place and its people. As Publisher's Weekly notes, "Crow's life, which begins as WWI is about to erupt, is emblematic of a century of upheaval, and Berry's anecdotal and episodic tale sounds a challenge to contemporary notions of progress. It is to Berry's credit that a novel so freighted with ideas and ideology manages to project such warmth and luminosity." Berry's seventh novel presents a concise vision of Port William's "membership." The story encompasses Hannah's life, including the Great Depression, World War II, the postwar industrialization of agriculture, the flight of youth to urban employment, and the consequent remoteness of grandchildren. The tale is told in the voice of an old woman twice widowed, who has experienced much loss yet has never been defeated. Somehow, lying at the center of her strength is the "membership"—the fact that people care for each other and, even in absence, hold each other in a kind of presence. All in all, Hannah Coulter embodies many of the themes of Berry's Port William saga. Andy Catlett, age nine, makes his first solo journey to visit with both sets of grandparents in Port William. The New York Times reviewer notes, "What the grown-up Andy recalls of that experience is transformed into 'a sort of homage' to a now-vanished world. Title characters from Berry's earlier Port William volumes — Jayber Crow, Old Jack, Hannah Coulter — appear here in affectionate cameos as the adult Andy, echoing Wordsworth, observes that 'in my memory, all who were there ... seem now to be gathered into a love that is at once a boy's and an aging man's.'" Heavily revised in 1985, including the removal of the last four chapters. Roots To The Earth 2016 Counterpoint, Berkeley 1619027800 Eight previously published poems and one uncollected short story ("The Branch Way of Doing"), accompanied by wood engravings by Wesley Bates. This is the trade edition (with the added short story and engravings) of the 2014 Larkspur Press edition, based on the 1995 West Meadow Press portfolio. Beattie, L. Elisabeth (Editor). "Wendell Berry" in Conversations With Kentucky Writers, University Press of Kentucky, 1996.
hooks, bell. "Healing Talk: A Conversation" in "Belonging: A Culture of Place", 2009, Routledge. Smith, Peter. "Wendell Berry's still unsettled in his ways." The Courier-Journal, September 30, 2007, A1. "Wendell Berry: A conversation," The Diane Rehm Show. WAMU 88.5 American University Radio, November 30, 2009. "Wendell Berry: Poet & Prophet," Moyers & Company. PBS. October 4, 2013. 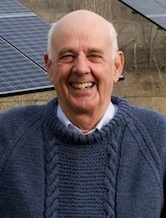 "Wendell Berry, Burkean" Interview with Gracy Olmstead. The American Conservative, February 17, 2015. ^ "Wendell E. Berry biography". National Endowment for the Humanities. Retrieved April 26, 2015. ^ "Dayton Literary Peace Prize names distinguished achievement award recipient". Dayton Daily News. August 12, 2013. Retrieved August 12, 2013. ^ Eblen, Tom (January 31, 2015). "At Hall of Fame ceremony, Wendell Berry laments 'public silence' on Ky. writers' work". Lexington Herald-Leader. Retrieved March 24, 2015. ^ Berry, Wendell (2018). Wendell Berry: Port William Novels & Stories, The Civil War to World War II. New York: Library of America. pp. 990–991. ISBN 9781598535549. ^ Berry, Wendell. My Conversation with Gurney Norman. Retrieved July 30, 2010. ^ Menand, Louis (January 7, 2009). "Show or Tell: A Critic at Large: The New Yorker". The New Yorker. Retrieved July 13, 2009. ^ abc Angyal, Andrew (1995). Wendell Berry. New York: Twayne. p. 139. ISBN 0-8057-4628-5. ^ Davenport, Guy (1991). "Tom and Gene". Father Louie: Photographs of Thomas Merton by Ralph Eugene Meatyard. New York: Timken. ISBN 978-0943221090. ^ Berry, Wendell (2018). Wendell Berry: Port William Novels & Stories, The Civil War to World War II. New York: Library of America. p. 994. ISBN 9781598535549.